As we continued with our brief musical existential crisis, I David Amadeus Pacheco decided to list what I think to be the top Final Fantasy themes in the franchise. The criteria is simple: Which songs from the storied Final Fantasy franchise have stood the test of time? Which ones are the most evocative of Square Enix’s RPG legacy? For each of these entries, we’ll be going with the official definitive arrangement/recording for your enjoyment. The best fan arrangements will have to wait for another time. In no particular order and unless stated otherwise, the composer for most of these themes is Nobuo Uematsu now without further ado. Starting off in a manner that feels similar to O Fortuna by Carl Orff in one of the coolest openings in Final Fantasy history. It should be noted that at the time FFVIII came out, CG cinematics in video games were rare at best. 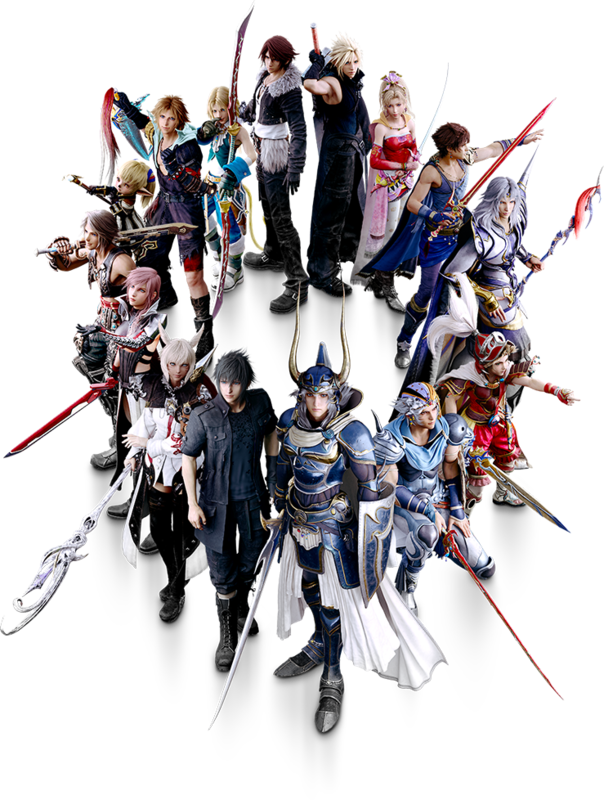 Making the brand Square-Enix as one that meant quality and innovation when it came to RPGs. Similarly, mp3s only became common in games as recent as the last generation of consoles. Up until then, it was just chiptune MIDIs. That being said, even though the animation is seriously dated at this point we were absolutely floored as we first watched the opening cinematic. Final Fantasy XIII is a game that divided a lot of fans, while most were happy to get a FF game on the Xbox others disliked it because of its linear gameplay that lasts well into over half the game until it finally opens up upon landing on Pulse, the real overworld of the game. FNC is a piece that portrays the solemn responsibility that burden the l’Cie, the cursed chosen by the Fal’ Cie, to fulfill their focus. Granted magic to assist in that goal, they desperately fight back against the fate that was forcibly given lest they suffer a fate worse than death. The original game that started it all almost didn’t start at all. Created by Squaresoft this entry was literally going to be the final fantasy game they ever made before going bankrupt. Luckily for both them and us, the game was a huge success. I’m going to credit the music as a huge factor since games in NES era usually had about 3-5 themes while Final Fantasy had a whopping twenty-one! All of which were masterfully crafted using no more than four tracks on an 8 bit sound chip. This track brings a tear to our eyes everytime we hear it. Final Fantasy VI is widely considered as Nobuo Uematsu’s Magnum Opus of his MIDI era music. The opening theme plays out very much like an opera overture and he continues his mastery in every theme you encounter further immersing you in the world with his use of recurring leitmotifs throughout the game. Here the Opera that was performed in-game finally comes to life and you can just feel the sorrow that plays out between the two star-crossed lovers Draco and Maria in the shortest opera ever written in one of the most memorable scenes in video game history. Sephiroth may or may not be one of the coolest villains in the series, depending on who you ask. Personally, I’ll stick with the only one who actually managed to destroy the world. But there is no denying the absolute badassedry that Sephiroth portrayed during the final confrontation. Valtonen managed to reflect the internal chaos that swirls within Sephiroth psyche as he gradually becomes aware of his past and the truth behind JENOVA. This arrangement takes you on a journey and makes you feel the very moment he is broken and is reborn as the One Winged Angel. When you pick up and start anew in Final Fantasy XIV, after creating your avatar you get to choose your starting city and this hidden gem plays whenever you pick Limsa as your starting city. The theme while it only plays once in the game gives this great open and grandiose sense of wonder and exploration. It also helps that it reminds me of The Curse of Monkey Island. If you were glued to your screen during the debut of the gameplay trailer of the Final Fantasy VII Remake then you’ve already heard this arrangement before. The Iconic bombing mission theme is widely recognizable by fans everywhere as it was their entry into the series and Uematsu’s genius. That initial rush we get as we see Cloud being introduced as a badass riding a train unto battle is a scene we won’t forget. Terra is one of those rare protagonists that had substantial character growth throughout the franchise. She was placed in an unfortunate circumstance in which she was once enslaved as a living weapon as she was naturally gifted with magic in a world that has none. Literally starting off as a blank slate amnesiac you see her grow to come to terms with what she is as you both discover her tragic story and her theme tells it beautifully. Perhaps the definitive theme of Final Fantasy, it has made its way into several of the games since its debut in the first game. It’s not a very long theme but none the less very pleasant tear-jerker to listen to. This song hits you right in the feels after you learn the story of how FFIV almost bankrupted Square Enix and this prelude embodies the hope of not just the fans but the company as well. Out of all the themes here, none of them will ever have the same impact as these battle themes. You’ve probably heard every single one of these at least a thousand times as you traversed the land in your endeavor to save the world. Obviously, no single one of these battle themes stand out more than the other because it really depends on when you first entered the series. For some, the very simple battle theme of the first game inspired you to sink in hours grinding away in order to beat the game while for many others FFVII was their first entry. Everyone started out their fandom with the series somewhere. In my opinion, those who started out with XIV are spoiled as the game not only has some the best music in all of Final Fantasy history but also holds the record for the most unique songs in any game ever with 834 tracks! And that’s before Stormblood. These themes are like Uematsu’s signature in every game, sharing a similar musical structure in every game up until VII, that’s when you can tell he hits his limit break and ramps up the intensity. The structures of his composition become even more complex, expressive, daunting and even more impressive as you overcome stronger enemies. Which are your favorite Final Fantasy Themes? Which ones did we miss? What other games had amazing Soundtracks to them? Let us know in the comments below! Let us know in the comments below and be sure to join the discussion with the Gamecast every Tuesday @ 8pm PST! For more awesome Top Tens and other video game and nerdy related articles don’t forget to check out NerdBot every day!